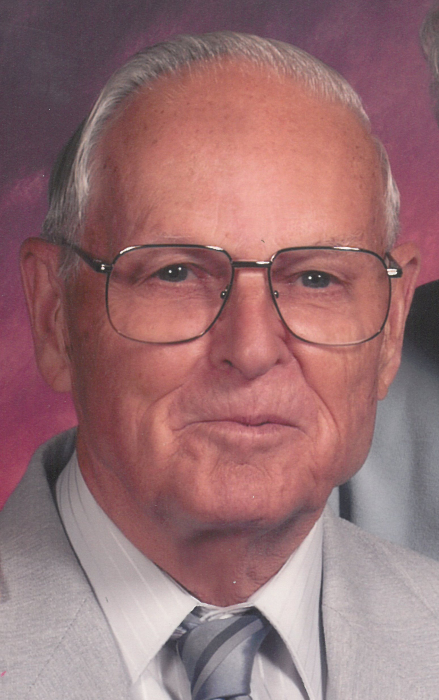 Ernest Jahnke, age 89, passed away on Thursday, March 28, 2019. He was born December 14, 1929, to the late Ernst and Elsie (Hartman) Jahnke in Antigo, Wisconsin. On May 15, 1954, he married Delores Kriehn in Morrison, Wisconsin. She preceded him in death on January 23, 2017. Ernest served his country in the U. S. Navy. He is survived by two sons, Kenneth (Michelle) Jahnke and David (Debby) Jahnke; one daughter, Diane (James) Anderson; his daughter-in-law, Sara Jahnke; ten grandchildren, Alan, Kristina, William, Ryan, Steffany, Jeremy, Justin, Lauren, Carrie and Michael; four great-grandchildren; his sister, Elvera Zeamer; and his sister-in-law, Judith Jahnke. In addition to his parents and wife, Delores, he is preceded in death by his son, Paul Jahnke; brothers, Norman (Dolores) Jahnke and Donald Jahnke; his brother-in-law, Vernon Zeamer; and sister, Clara (Willard) Nohr. Visitation for Ernest will be held Thursday, April 4, 2019, from 9:00 am until the time of the funeral service at 11:00 am at Beautiful Savior Lutheran Church, 2160 Packerland Drive, with the Rev. Leon Ehlert officiating. Entombment will be at the Shrine of the Good Shepherd Mausoleum. Expressions of sympathy, memories and photos may be shared with Ernest’s family on his tribute page at www.lyndahl.com.